This story is part of our ACG Fall Fund Drive Changing Lives Storyboard. Consider supporting ACG today! 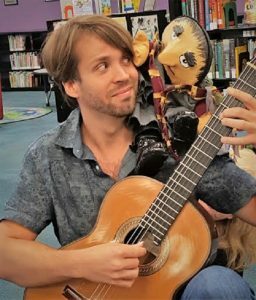 In his role as ACG's Performance Engagement Artist, Joseph Palmer gives concerts in schools, libraries, museums - even alongside puppets! His programs are each uniquely crafted for the audience he's performing for, and always feature plenty of storytelling and audience interaction. 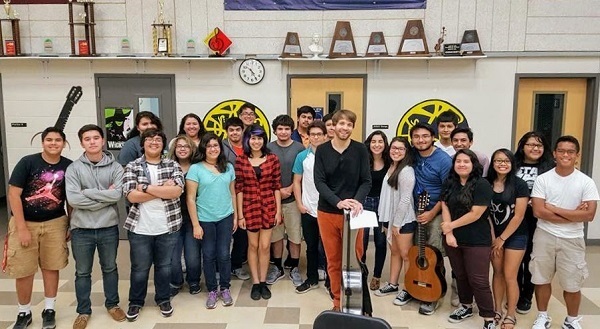 And through his regular visits to all of our local middle and high school guitar programs, along with a series of online performance videos, Joseph is inspiring young people throughout Austin to find joy through music-making. In this blog post, learn more about Joseph's work with ACG and approach to engaging diverse audiences. In 2017, Joseph made 35 visits to Austin middle and high schools, performing for more than 1,000 students. 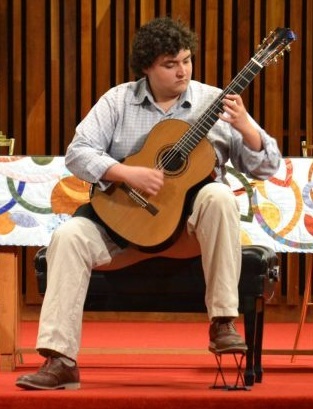 One of the main goals of his school visits in the last 18 months has been to inspire guitar students to participate in the University Interscholastic League (UIL) Solo Music Contest. The specific design of these visits was Inspire-Support-Refine. First, Joseph developed a concert program consisting entirely of selections from the UIL Prescribed Music List. 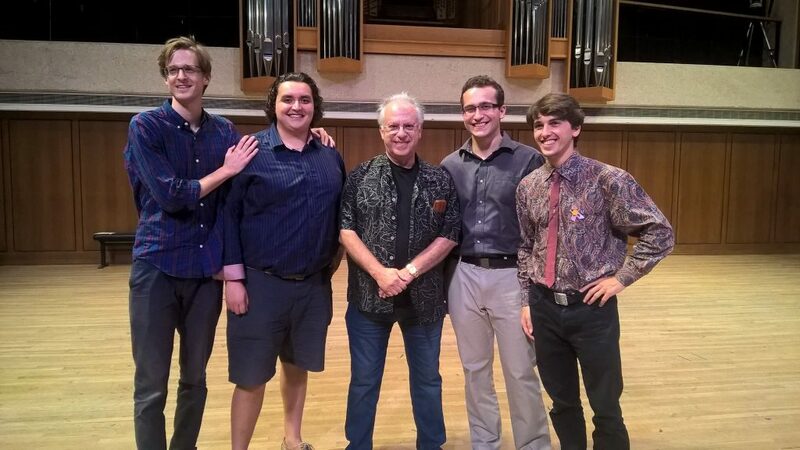 This meant that every piece he performed is one the students would be eligible to play for a UIL guitar competition. Joseph then recorded videos of many of the selections so that all students, particularly those without private instructors, would have access to excellent tutorial support for their own chosen solo. Finally, he scheduled follow-up visits at each school, styled as master classes, for the students to perform their piece for him and their peers, and receive feedback. Joseph during a recent visit to Akins High School. At the core of Joseph’s work in Performance Engagement is the question: As an artist, what can I do to make my performances as deeply personally significant as possible? In the UIL example above, he designed a powerful program for middle and high school students of guitar. In partnering with storytellers from Austin Public Library’s “Literature Live” program for six performances of the musical puppet show, Fifolet (in addition to a radio show performance), Joseph provided free and engaging musical experiences for about 350 diverse young people and families all around Austin. The role of music has always been deeply significant in my life. It can express what words cannot, connect people with their emotions, and it carries the capacity to dissolve the barriers that separate people. In the last several years, I have become increasingly inspired by the idea of being able to connect with virtually any person through music. I’ve found that combining musical performance with personal interaction can open up a space where young people can explore something beautiful, share their impressions, self-reflect, discuss emotions, empathize, and think creatively. These are perhaps atypical experiences for a classroom setting, yet they are an essential part of our every day lives. The greatness of the art we love and produce is only manifest through the personal connections others are able to make with it. As the performer, you are the ambassador for your art, and each performance is an opportunity to connect others to the richness and beauty of that world. Oftentimes, it’s not only about how great you play; it’s about how you present the experience as a whole. The way an artist communicates and interacts with the audience during a performance has the potential to significantly enrich the listening experience. The goal is not to merely give information, but to build audience anticipation, engage their interest, imagination, or emotions in ways that tie into the music. When done well, it dramatically changes the whole dynamic of the musical experience. Joseph Palmer's Performance Engagement work is made possible through the generous support of Bill & Mary LaRosa and Carl Caricari & Margaret Murray Miller. A few weeks ago, a very good friend asked ACG's Director of Education Travis Marcum and I to lunch to talk about the Lullaby Project. We traded stories about the importance of music in our own childhoods. We talked about the young moms we've gotten to know in the course of this work, and the unforgettable songs they have created for their children. We were moved to tears. Our friend, who wishes to remain anonymous, handed us a beautiful card expressing her hope for many more years of healing through music at Austin Classical Guitar. Inside the envelope was a check for $75,000 to begin a fund dedicated to the Lullaby Project within the ACG Endowment. What an extraordinary gift. I am so inspired by the generosity that enables us to work toward healing through music with some of our community's most vulnerable individuals. If you would like to add your support, you can make a contribution using the form below, or email me to learn more about gifts to the ACG Endowment. The newest lullaby, "I Will Protect You," was created just last week at the Travis County Jail by Arlen, who wrote it for her four young children. I'd love for you to hear it. Just hit the play button on the video below. There's also a reflection by Joey Delahoussaye, the Lullaby Project clinician who worked with Arlen to write this moving song. Within a few minutes of meeting Arlen, I could tell that her soft-spoken manner belied her strength as a mother and protector of her children, who mean everything to her. In her lullaby, Arlen takes turns singing to her three daughters, Kamila, Fatima, and Valeria, and to her son, Angel. She hasn’t seen any of them since arriving at the Travis County Correctional Complex a few months ago. Arlen would be the first to tell you how unique each of her children are, and for that reason we decided early on that this would not be a one-size-fits-all lullaby. Arlen uses the verses to speak directly to each child, addressing them one by one to offer words of encouragement. Then, in the chorus, she expresses her love for her family and commitment to protect them, no matter what. For all the uncertainty in Arlen’s life right now, her devotion to her children is steadfast. Writing this lullaby was a special experience that I won’t soon forget. If you’re inspired by this story and would like to support the Lullaby Project, please consider making a financial gift using the form below. This story is part of our ACG Fall Fund Drive Changing Lives Storyboard. 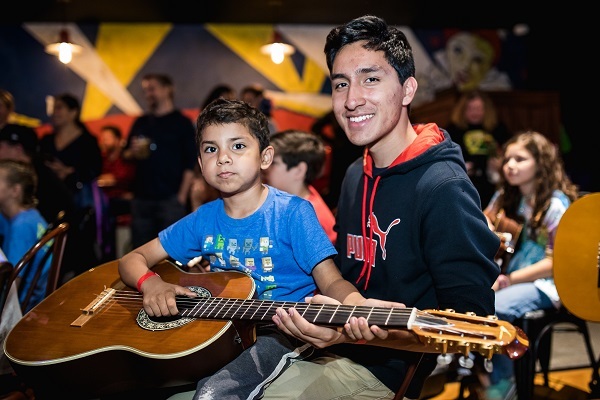 Read our previous story about the first-time-ever guitar experience we created for young movie fans right before they saw Disney/Pixar's newest film Coco. Consider supporting ACG today! Lynn Wills has been a member of ACG's Community Ensemble since the summer of 2016. He credits his participation in the group with realizing the need to pursue a new direction in his career and a change in life purpose. 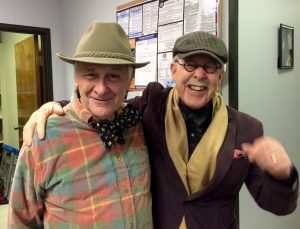 Lynn Wills (left) performing in a duet with Ed Collins, Dec. 10, 2017. For more information about ACG's Community Ensembles, click here. How did you become involved with ACG? Growing up, a lot of my life centered around band. I played clarinet and saxophone in middle and high school, and senior year I was drum major, first chair, and section leader. In my senior year, half of my classes were music: marching band, jazz band, dance band, and theory class. By the time I went to college, I was burned out. It was too much, I was tired of performance jitters and auditioning, and I got interested in Air Force ROTC. I only played in the marching band my senior year of college, then I joined the Air Force. As tired as I was of auditioning in high school, it turned out my area of specialty in the Air Force required an audition of sorts every year - people came in, critiqued me - it was just continuous criticism for years and years. I spent 30 years in the Air Force, and worked in the defense industry for 12 years. Six years into the Air Force, I ended up stationed in Madrid. I went downtown, bought a guitar, met an American ex-pat living there, and started learning to play classical music. This was 1980 - a long time ago. I played off and on at home, but my family joked about how I never performed in public. In March of last year, I started looking around for something new. I signed up for a guitar ensemble with ACG. At the first practice, I fell in love. Then, in November, we performed for a charity event. It was my first time performing in public since 1974. I had forgotten what it was like. The ensemble is such a supportive environment that a couple mistakes are no big deal. It was never like that in high school. ACG Community Ensemble at St. Luke's on the Lake, Lynn far left. "I was just amazed at what happens when you open a new door and start looking around. I’m pretty convinced if I hadn’t played guitar and joined an ACG ensemble, that wouldn’t have happened." In October, I quit my job and applied to The University of Texas at Austin for a Master’s degree in Public Leadership at the LBJ School of Public Policy. I was accepted, and now I'm taking classes. It’s a public policy program in executive leadership, so 80% of the students are state employees. I would be really interested in teaching or consulting, as well as volunteering with a non-profit. I've just been amazed at what happens when you open a new door and start looking around. I’m pretty convinced that if I hadn’t played guitar and joined an ACG ensemble, that wouldn’t have happened. How would you describe your experience in the ACG ensemble, and a part of ACG as a whole? It’s very supportive, and there’s a lot of work involved. In an ensemble like that, you’re pretty exposed. Ensemble playing really drives you to practice. It also expands your repertoire, and I think I’m a better player than I was a year ago. 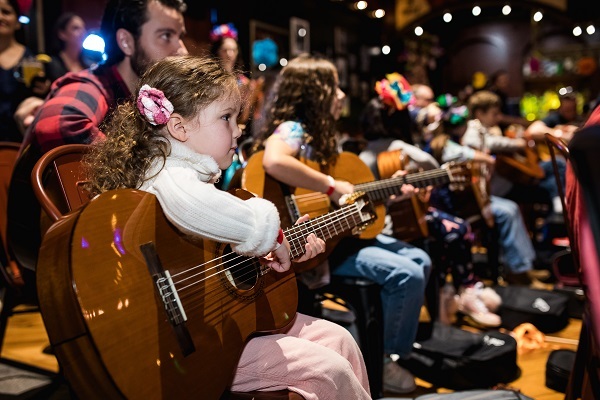 The hit new Disney/Pixar movie Coco features a lot of guitar playing, so as soon as we heard about it we asked our friends at the Alamo Drafthouse if we could create a real, live, first-time-ever guitar experience for young movie fans right before the show! Here’s what happened, along with a few adorable photos from the experience. 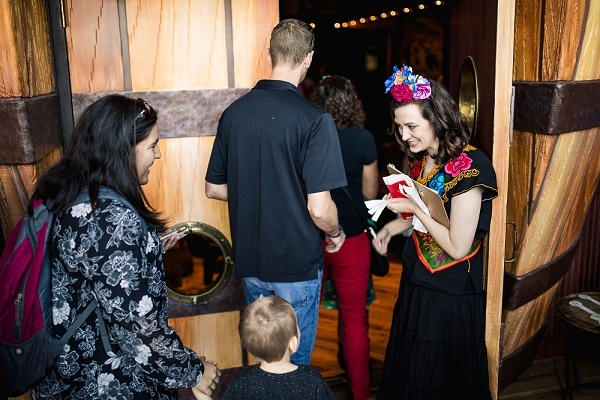 Special thanks to the Alamo Drafthouse for yet another fruitful collaboration, and to HLK Fotos for taking and sharing these fantastic snaps! Our friend Dan Baugh from Calido Guitars first told us about Coco (Thank you, Dan!). ACG Education is all about engaging young people in beautiful music making right from the beginning, so we immediately knew what we wanted to do! We selected a song that was featured in one of the movie’s trailers, and with help from the Alamo Drafthouse we secured Disney’s permission to use it. We then tasked our amazing curriculum specialist from Knoxville, Tennessee, Chris Lee, with creating a three-part arrangement of the song that would be playable by beginners. Then we set a date! A few weeks out we assembled the team to come up with a lesson plan: What to teach, in what order, to reach the goal we were hoping to achieve. Our plan was to get the kids seated and set up properly with their guitars, get them to play one note together, learn to listen to one another, refine their togetherness and volume, teach them to count beats and play in time. Once that was accomplished, we’d teach them the first of two patterns, practice it with the band, teach them the second of two patterns, practice it with the band, then put it all together for a performance and take a bow! The big day arrived. We tuned and prepared 50 guitars, and laid them out next to 50 chairs. By that point there was almost no place to step, and we were sure there would be a few casualties among the guitars! Turns out all the kids were super careful and we lost zero guitars – though one of our team members had to intervene as a particularly small girl was about to use a guitar as a stepstool to help her get into her chair! As excited and full of energy as they were, the kids became focused pretty quickly. We watched a one-minute trailer that featured the song and then got to work. Within ten minutes, we’d already learned the first pattern—the simpler of the two. The second pattern was trickier and took longer, but after about 35 minutes we played the whole entire song together and it sounded pretty good! We performed it three times, the crowd went wild, and it was time to go see the movie! For the same reason we do everything at ACG: because we believe in music. We believe that music is one of the oldest, most enduring, most powerful, most gentle, and most patient teachers there is. We believe music brings us together, and we believe that coming together is at the center of peace and productivity. We witness it every day in classrooms across Austin, and through our many partners, across the world. And we were absolutely thrilled to share a real music-making experience with 50 new young people! This story was part of ACG's 2017 Fall Fund Drive Changing Lives Storyboard. 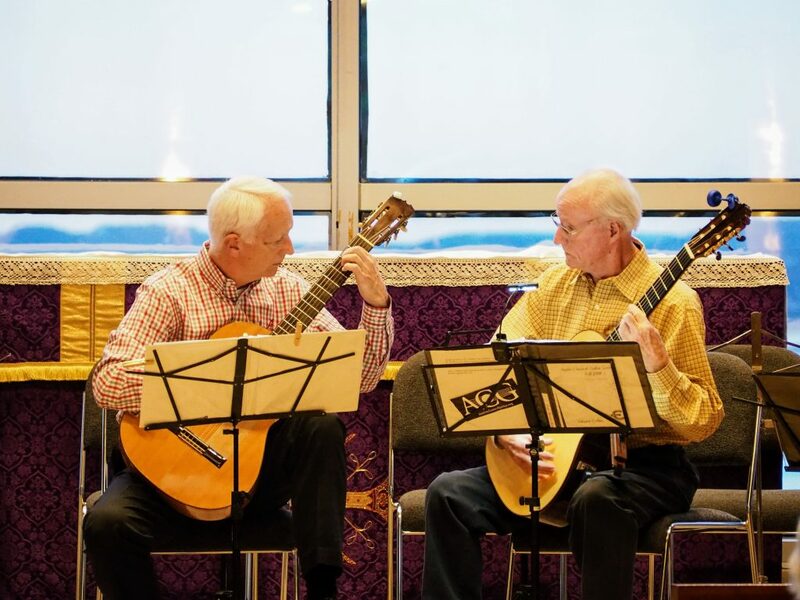 If you’re inspired by Austin Classical Guitar’s work in Austin and across the globe, please consider supporting ACG today! 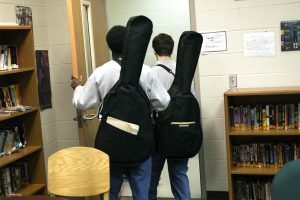 One of the benefits of teaching guitar at the Gardner-Betts Juvenile Justice Center is getting to witness the high rate of positive change that learning music brings to my students. Music has the unique ability to provide an honest experience in which the students’ hard work brings them legitimate recognition. For many of my students, this has never happened before. I get asked a lot about what it’s like working in a youth detention facility, and I usually say, “The bad days are bad, but the good days are really good.” Fortunately, we have many more good days than bad, and the abundance of positive change I witness turns the bad days into mere reminders of what these young people are truly dealing with in their lives. I’d like to tell you about one student. Let’s call him Taylor. Taylor is a long-term resident at Gardner-Betts. He is extremely intelligent and very intuitive. He reluctantly entered my class last year because he needed fine arts credit to stay on track for high school graduation. He was always polite and did what I asked, but made it clear he had no interest in being there. One afternoon, Taylor walked into the classroom, and I could tell he was already having a bad day. Minutes after we started rehearsing I heard a loud “POW!” Taylor had punched his guitar in an attempt to vent his frustration. I immediately told him to give me the guitar, and explained that I had a responsibility to keep all of my students safe. Taylor responded by lobbing a flurry of colorful verbal threats of bodily harm at me. Fortunately, the Gardner-Betts staff members were able to calm him down without having to use physical restraint. My heart was pounding. I felt like I had failed Taylor, as this incident caused him to be removed from guitar class for the rest of the year. "Taylor still has some tough days, but he’s learned to cope with them. He’ll tell me, 'I’m mad, sir, not at you, but mad nonetheless. Is it OK if I just chill for a little while?' When this happens, he always picks up the guitar by the end of class." Taylor was allowed back in the class this fall. He was in a better place with his treatment, and living in a quieter unit. We talked for a long time after class one day, and he apologized for what had happened. I told him how happy I was to have him back, and that we could try again. This time around, Taylor immersed himself in the class. He began to learn solos and compose his own music on the instrument. Every week he made a point to tell me he how sorry he was about what had happened, and that he hadn’t realized how much he would enjoy learning guitar. I kept reminding him how happy I was to have him in class. Taylor still has some tough days, but he’s learned to cope with them. He’ll tell me, “I’m mad, sir, not at you, but mad nonetheless. Is it OK if I just chill for a little while?” When this happens, he always picks up the guitar by the end of class. Last week Taylor performed Etude No. 1 by Leo Brouwer as part of our winter concert. This piece is a rite of passage for classical guitar students, and Taylor worked on it obsessively. All of the students played beautifully that afternoon, but Taylor stole the show, and got a huge ovation after his piece. I’m happy to say that Taylor is just days away from being transferred into a lower security facility. The strides he has made in the last four months have given his treatment team the confidence to expedite him through his sentence, and put him on a faster track to returning home. This story is the first of our ACG Fall Fund Drive Changing Lives Storyboard. Consider supporting ACG today! 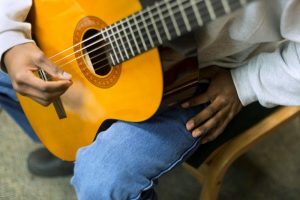 For the past seven years, Austin Classical Guitar has offered daily guitar classes for incarcerated young people at the Gardner Betts Juvenile Justice Center. Many of our students have at one time or another found themselves in the courtroom of The Honorable Darlene Byrne. 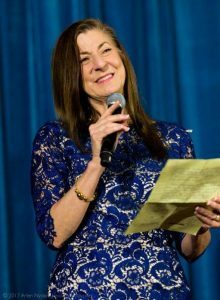 Having spent over 15 years working with youth involved in the Juvenile Justice and Foster Care Systems, Judge Byrne offers a unique and insightful perspective on ACG’s work with these talented students who happen to have troubled pasts. 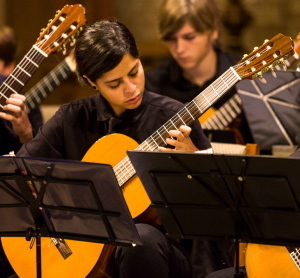 What was your initial thought about a classical guitar program at Gardner Betts? That it’s unique, innovative, and a win-win for the students and the facility. It’s not a program I would have ever imagined thriving in a detention center, but it’s become a wonderful enrichment experience that allows these young men to define themselves other than as someone who has broken the law. Learning music can reveal the unique, and often hidden, talents these kids have. It’s more than music. It’s mentorship, and the relationship the instructor has with the students. 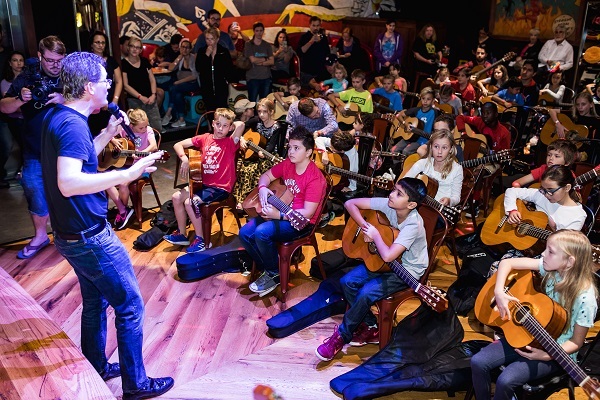 "Austin Classical Guitar uses a beautiful art form to crack through the hard exterior of some of our community’s toughest young people and inspire in them a sense of beauty, passion, and self-respect." What kind of impact do you think the guitar program has on the students at Gardner Betts? As a judge, I routinely see young people in my courtroom who suffer from the effects of abuse, neglect, poverty, mental illness, and addiction. These youth often develop a hard exterior and are not easily reached by individuals in the community who want to engage them in a positive activity. Austin Classical Guitar uses a beautiful art form to crack through the hard exterior of some of our community's toughest young people and inspire in them a sense of beauty, passion, and self-respect. For some students this may be the first opportunity they’ve had to express themselves and their emotions. Most of the young people at Gardner Betts are one, two, or three years behind in their education, and this becomes something they are self-conscious about. Because of this, many learn not to like school, and feel embarrassed if they don’t know something. But the great thing about the guitar program is that all the students are starting from the same place. They’re learning the language of music together. Regrettably, I think many of these students have been taught to view messing up as a failure. ACG takes those messy moments, like when a student might be having trouble with a passage of music, and turns them into moments of enlightenment, discovery, and learning. Do you have a favorite memory of the guitar students at Gardner Betts? 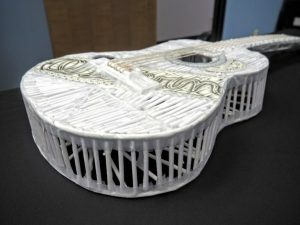 One of the most beautiful experiences I have had with the program was seeing one of the young men perform a solo in front of a live audience while at the same time displaying a paper and tape, life size, three dimensional rendering of a guitar he had built. It is a remarkable piece of art and an expression of what this program can inspire within some of these young folks. This young man took it upon himself to create this piece of art for his instructors while his classes were on pause for the summer. It was a testament to how much passion the program had inspired in his heart. 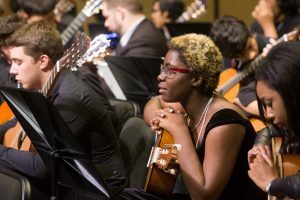 If you are inspired by Austin Classical Guitar's work with young people in the Juvenile Justice System, please consider making a donation to support our work today. 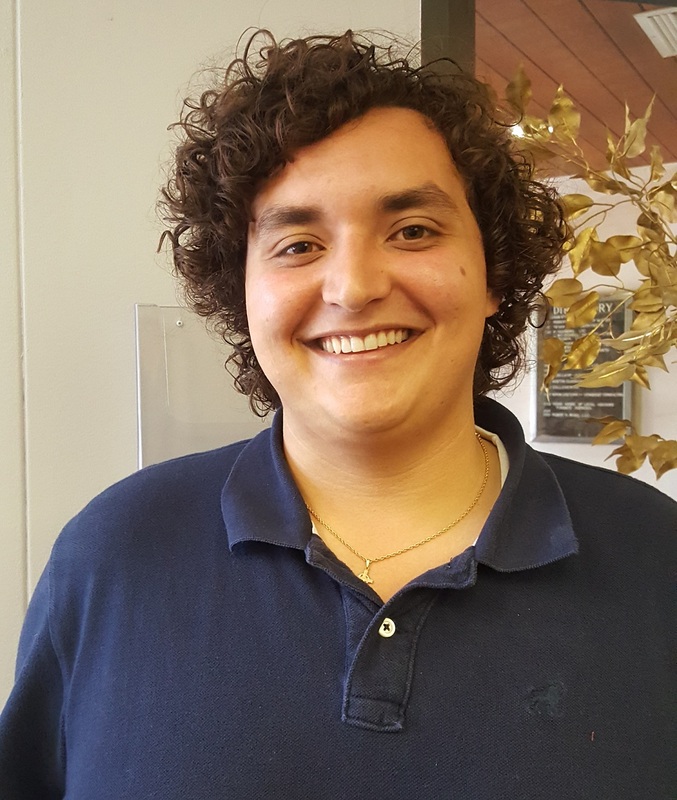 Fred Springer, a student at UT-Austin pursuing a Bachelor of Music in Guitar Performance, has been volunteering at ACG concerts since 2015. He has taken on a variety of responsibilities over that time, including usher, artist liaison, and stage manager. We recently sat down with Fred to ask about his reasons for becoming involved with ACG, and what his experiences as a volunteer have meant to him. Interested in volunteering for ACG? Sign up here! Q: Where are you from originally, and what brought you to Austin? A: I was born and raised in Tallahassee, Florida. Eventually I ended up choosing UT-Austin, partly because of the strong program and the faculty, but also because of Austin Classical Guitar. ACG provided a great window of opportunity. When you look around as a student applying to schools, it’s rare to find an organization like this, one that is so symbiotic with the city. They do so much in terms of putting on performances and teaching, as well as all their community engagement. Q: In what ways has music touched your life? A: I started Kindermusik classes when I was four. I started guitar at eight, just learning simple pop songs on acoustic guitar, and then played bass guitar in a cover band with my friends. We played Cream songs, Metallica, Lynyrd Skynyrd. There's a very rewarding cycle in studying music. You have an initial love for something, such as a guitar solo in a rock song, or a piece you hear at an ACG concert. You think, “Woah! That was awesome.” Then there’s an investigative time of getting into the details and learning. The reward comes at the end when you’ve brought it to a certain level and you can play it. I think studying music instills a sense of focus and work ethic. It directs attention and allows you to see what you can do. "I think studying music instills a sense of focus and work ethic. It directs attention and allows you to see what you can do." Q: Do you have a favorite memory with ACG? A: I still remember the first event I volunteered for, it was the second night of "The Lodger" at the Alamo Drafthouse. I love movies, I love Alfred Hitchcock, and obviously I love classical guitar, so that concert was almost other-worldly because it was a perfect package of Joe Williams’s original score and a classic Hitchcock movie - both happening at an Austin landmark. It was so cool, and from that moment I knew this was a unique organization. That first event, I fell in love with ACG - it’s a pride and joy of Austin. Q: What do you appreciate about volunteering with ACG? A: The level of insider access. Not only do you get to see artists perform, but you get to see how they work, because you can go backstage and see exactly what goes into a production. It’s incredible that a group of volunteers from the community and a few really dedicated people can put together these amazing shows. Q: What does ACG provide to college students such as yourself? A: The real downfall of music programs in higher education is how little they prepare you for the real world of professional music. People say once you have a college degree, you put that on your résumé, and then doors open. But you also have to make connections, get windows into organizations like ACG, build rapport with an employer or a community member. It’s been awesome for me to meet, talk with, learn from, and get to know the people and artists involved with ACG, and investigate what it takes to run an organization like this. It’s really been invaluable. Q: Other than concerts, are there any other aspects of ACG's work that interest you? A: The program for incarcerated youth at the Gardner Betts Juvenile Justice Center really stands out for me. To see the young men there use music to its fullest potential, to see how playing guitar affects their individual growth, their process of maturity - that’s a real measurable impact. Music offers them an opportunity to think and to dream beyond themselves. It’s incredible to see their intent and good nature emerge. ACG provides a way for them to experience the diligence, the work ethic, the joy that comes from music. Q: What is the one thing you wish more people knew about ACG? A: I wish more people knew about the real reach of ACG’s community service. 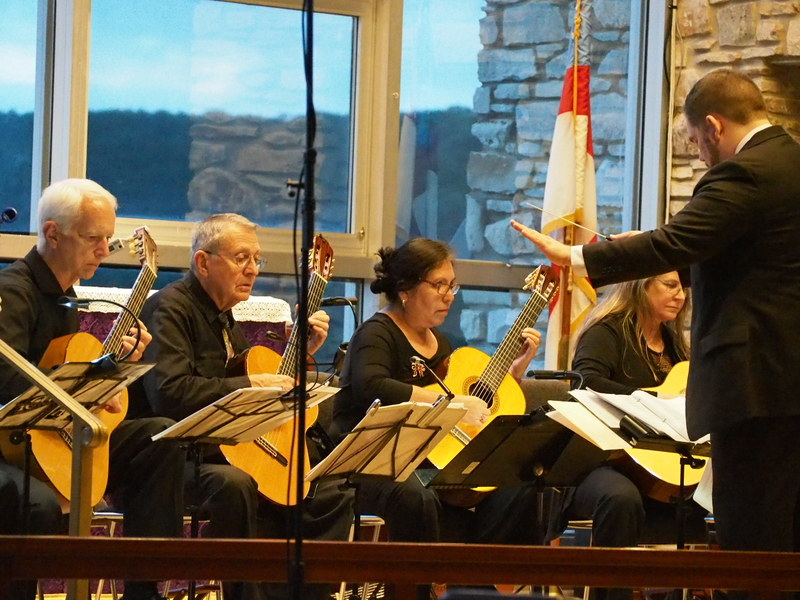 When people ask me about Austin, I point them to ACG, emphasizing that it’s not just an organization which presents classical guitar concerts. ACG’s intent and genuine nature sets it apart: it presents music as a celebration of life. The support, the money that goes into the organization, the love - it all comes back tenfold to the community. For over ten years, Lloyd Pond has been a dedicated volunteer for ACG. These days, he spends much of his time repairing guitars used in our school programs, often saving badly damaged instruments from the scrap heap and getting them back into the hands of students. We asked him to share a bit about his upbringing, love of music, and favorite moments with our organization. Can you tell me about your family’s musical heritage? My grandmother grew up playing piano in a small Texas town near Louisiana. She taught all of the grandchildren how to play, so that’s how we all got our musical influence. We had a piano at home, and people would come in to take music lessons. Often people from the church would come to practice singing, and my grandmother would rehearse with them or provide music. Sometimes my family would gather around the piano and sing old songs she had on sheet music from the 20s and 30s. In what ways has music touched your life? There was a man who played violin at our church, and so it just came into my mind. We were a middle-income family. I really didn’t think there was any way I’d get a violin; I just wanted a way out of playing piano. The next day I came home from school, and my grandmother had gone down to the Heights area - where there was a music store - and bought a violin. She showed me the rudiments of playing, which led to playing in the school orchestra - I always enjoyed that. Late in high school I started playing the guitar. Rock ‘n roll, Elvis Presley and all that stuff. How did you get involved in woodworking and repairing instruments? "Musicians are always wild and crazy, and it’s fun to hear their experiences, to share that interest and joy of making music." How did you first get connected with ACG? What have you enjoyed about your experience here? It’s the people. The reason I wanted to play in the classical guitar ensemble was to meet people who were interested in music. Musicians are always wild and crazy, so that’s fun to hear their experiences, and share that interest and joy of making music. Of course the other major interest I had was the instrument repair: to repair the instruments, marvel at the ways middle and high school kids can manage to destroy and damage and otherwise misuse the instruments; I try to put them back together. Are there some special memories, people, or events that stand out if you reflect on your years here? Sometimes I would have the opportunity to meet with the concert artists or interact with them. That was always a fun thing for me. Sometimes we were surprised at their eccentricities. We’d have some artists come and play at schools. I’d provide transportation, and one that most impressed me was going to the School for the Blind and Visually Impaired. Watching those students - wow, how incredibly inspirational! After hearing the performer play, listening to the response of the students - so interested and so captivated by the music, and asking very good questions. "I wish that each one of those people could have some of the same experiences that I’ve had: of seeing how other parts of the community can benefit from the efforts of all of us put together." Pepe Romero, he’s part of a lot of beautiful memories. During the GFA convention, I was at the UT radio station that did the interview. To hear his stories about his family, and his father and his music- every time he tells these stories, it’s such an emotional event. He related a story of his father’s passing, and everybody, everybody was in tears. Even his wife, who I’m sure has heard that story a hundred, a million times. What are your impressions overall of ACG as a non-profit organization and the service it provides? It’s certainly an amazing success story. It’s grown and grown, now all kinds of wonderful things are happening. The idea that guitar and music is only a basis, a beginning, for contact with students, troubled individuals, people who need help, people who have special needs, that guitar and the music generated from it is only a tiny portion of that. 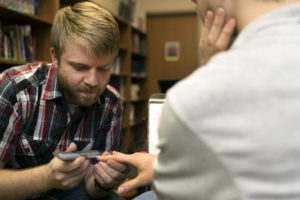 It provides a connection into other areas of people’s lives, other needs they may have. That’s a fantastic concept to me, and it wasn’t one I ever imagined when I became involved with ACG. I looked at it as a feel-good thing for me to enjoy some music great performers can bring, but it’s certainly much much much much more than that. What is the one thing you wish that more people knew about ACG? It’s so much more than just going to a concert and listening to a great performer. Every Sunday for almost ten years, Ed Collins has made the two-hour round trip drive to his ACG Community Guitar Ensemble rehearsal. This passion for learning guitar led Ed and his wife Mary to become involved with ACG’s education and social service programs. We asked them to talk with us about their relationship with the organization, and the reasons behind their decision to include ACG in their planned giving. How did you first pick up the guitar, and find out about ACG? Ed: Years ago, when my son was very young, we went to see the great Spanish guitarist, Andrés Segovia, perform in Houston. From the first note, I fell in love with the instrument, and knew I wanted to learn classical guitar. At the time, I was too busy to do anything about it, but I always kept that love with me, and decided that when I had the time, I would learn classical guitar. In 2008, I finally decided to buy a guitar and start learning, but couldn’t find a teacher. I eventually found Austin Classical Guitar on the internet, and signed up for the Community Guitar Ensemble. Playing in the group fulfills my passion for improving my guitar playing, but also for sharing music with others. I’ve been in the Community Guitar Ensemble for almost ten years, and it’s been amazing. "ACG provides young people with experiences that make them feel engaged and important. This organization is about more than just pushing strings on a guitar. It’s about changing lives." What has kept you involved in the ensemble for so long? Ed: I discovered a long time ago that if I have a place to go, a time to be there, and a group to be involved with, I won’t let them down. So for ACG, I’ll get my practice in, and be ready to play. Eric Pearson, who directs ACG’s Community Ensembles, has taught me so much. He can take a concept or a technique that seems complicated and present it in a digestible format. On the drive home every week, I think about everything we learned in rehearsal, and I just can’t wait to get back. It’s a two-hour round trip, but I wouldn’t miss it. We’ve got a great group of players in the ensemble, and we’re all there for the same reason: the friendship and the love of playing together. When we get the music down and perform it, everyone sounds great. Mary, what has it been like to watch Ed pursue his passion for classical guitar? Mary: It’s been amazing to watch this process unfold. I could tell right away he loved being in the ensemble, and he can’t wait for rehearsal each week. I’m just so glad he found guitar. We always encourage each other to do what we love. You’ve both decided to include ACG in your planned giving. Can you talk a little bit about how that came about? Mary: What interested me was how ACG’s education programs serve at-risk and low-income children. I think everyone deserves to learn music, and a positive activity like performing in an ensemble can build self-esteem for a young person. Once we discovered the depth of service at ACG, we knew we wanted to be involved long-term. We decided we wanted to make a difference in the places where we were personally involved. ACG is one of those places. Ed: I initially joined ACG because I wanted to learn classical guitar and rehearse and perform in the Community Ensemble. But when Mary and I found out about ACG’s education and service programs in schools and the juvenile detention center, we knew we wanted to do more. We’ve increased our support each year, and now, most importantly, we’ve included ACG in our planned giving. ACG provides young people with experiences that make them feel engaged and important. This organization is about more than just pushing strings on a guitar. It’s about changing lives. John Henry McDonald has led a remarkable life. 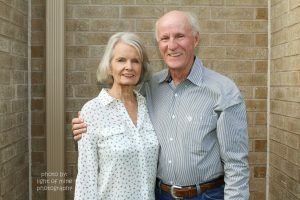 After serving in Vietnam during the war, he spent time as a traveling musician, a ranch manager, and eventually founded Austin’s premiere asset management company. For over a decade, he has been a mentor to ACG’s Executive Director, Matt Hinsley, and currently serves as Vice-President of ACG's Board of Directors. We asked John Henry to tell us why he believes music education can make a difference in the lives of children. 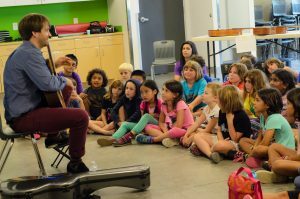 One of ACG’s primary goals is to positively impact the lives of young people through the guitar. This aspect of our mission seems to resonate with you quite a bit. Can you tell us why? The story of ACG and the work it does with kids is the story of my life. When I was a kid, and my home was shattered, and my family life was confusing, guitar was there. After Vietnam, when I was shattered, and everything was confusing, guitar was there. Music is what got me through those tough years. When I finally got back on my feet after the war, I grabbed my guitar, found a harmonica player, and pretty soon we were opening for Waylon Jennings, Johnny Hammond Jr., and Sonny Terry. Through guitar, I learned how to perform, how to communicate with an audience, and most importantly, how to tell a story. When I came to Austin, I was determined to keep my life together. I was told by a mentor to put the guitar away, and that was seminal. At the time it was what needed to happen for me to transition to the next phase of my life. And that’s when I founded Austin Asset Management. When I got involved with ACG, I was in another transition. This time, I was selling Austin Asset Management, the company I had built and been running for decades. Once I learned about ACG’s education programs, I was drawn to the organization. I know that for some kids, guitar won’t mean anything. But for some it will be extremely important, and for others - like myself - it will be everything. I remember being 13 years old, lying in bed with a guitar on my chest, and I would play it until I fell asleep. Guitar was central to my life and has been my companion ever since. I give to this organization because music changed my life, and I’ve seen it change the lives of the kids we work with. "With ACG, I can see my money doing good things, and that makes me want to keep on giving. I trust that when I pass on, the money I have left to this organization will continue to make an impact." How did you decide to include the organization in your planned giving? An old friend once told me that the hardest part about making money isn’t earning it — the hardest part is giving it away. It’s not that I don’t want to give, I’m happy to. But it was hard for me to find an organization I trusted. With ACG, I know I’ve found an organization where I can see my money at work – see the funds actually getting to the beneficiaries, the people the organization says it’s helping. 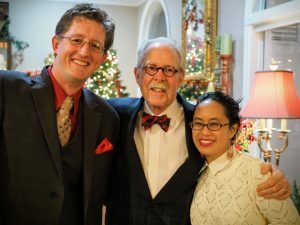 When I met Matt Hinsley, ACG’s Executive Director, I realized immediately that he had a vision for nonprofit arts organizations, and for changing lives through music. I trusted him because it was never about this organization. It was always about giving to the community, and helping young people. Giving to ACG is easy. With ACG, I can see my money doing good things, and that makes me want to keep giving. I trust that when I pass on, the money I have left to ACG will continue to make an impact. Could you talk a little bit about your involvement with Austin Community College, and the connection it has to ACG? I’m on the board of ACC as well, and I love the connection we have with them. 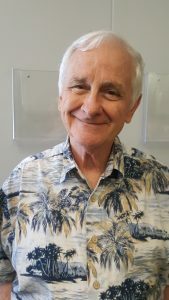 Dr. Tom Echols is teaching guitar there, and we send kids to him from our high school programs at Travis High School, Akins High School, and others. I know they’re going to get a great education. I love blending my giving – kids in ACG’s high school programs earn college credit by studying guitar at ACC while they’re still in high school, and that keeps their education moving forward. It’s huge for kids who don’t come from a context that would be able to financially support a college education. For some, college may never have seemed like an option. Guitar can provide a pathway to a higher education, and ACG helps make that happen.